Prior to joining the Institute for Family-Owned Business (IFOB) in 2014 as its executive director, Catherine was the executive director of the Boothbay Harbor Region Chamber of Commerce where she oversaw the 50th Anniversary of Windjammer Days, developed the Claw Down lobster bite competition, and annually produced the region’s definitive travel guide. 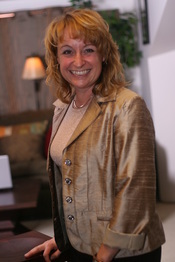 She is a graduate of the Maine Association of Nonprofits’ Executive Leadership Institute. Catherine’s prior experience includes 20 years in the travel industry, at Hewins Travel, as director of marketing, and Hurley Travel Experts, as director of sales. A graduate of Bates College, she has served on dozens of boards including the Advertising Club of Maine, the World Affairs Council of Maine, MidCoast Chamber Council, Mobilize MidCoast Maine leadership committee, Rotary, Maine Sports Commission, the Amputee Association of Maine, the Advisory Board for the MWM Maine Women Magazine and the Boothbay Sea and Science Center. She lives with her husband in the MidCoast, is an avid boater and outdoor enthusiast with a love of great food and local crafts. Before starting with the IFOB, Brooke had spent the last 5 years traveling the U.S. with her own family-owned business. 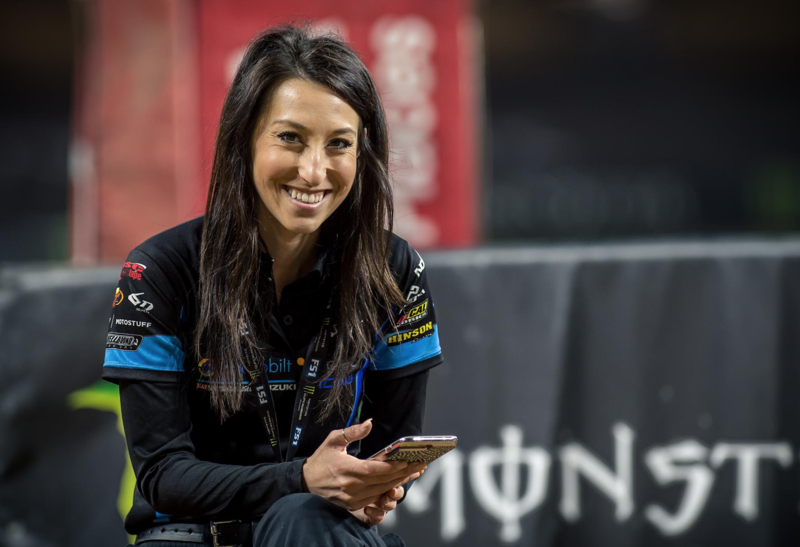 Carrying the role as race team manager for her and her husband’s professional supercross team, Ronnie Stewart Racing, Brooke was one of only two female managers at the professional level. Aside from the 29 races, Brooke put on 26 unique special events including dealer signings, athlete and team appearances, and track ride days. She also worked with the Friends of Jaclyn non-profit organization where her team would “adopt” a child battling pediatric brain tumors and other childhood cancers, hosting multiple families as they traveled, and bringing awareness to the organization. She holds a BS in Sport Management from Southern NH University with certifications in athlete and motorsport management. Today she continues to stay involved in the motorsports industry by putting on education schools. She is a certified coach along with her husband Ronnie; together they train current and beginner riders the secrets to safety, longevity and results in their sport. She has returned to her home state with the long-term vision of owning another family-owned business in Maine. Brooke has extensive experience in sponsorship development and management, public relations, marketing, consumer activation, media communications, and VIP hospitality. In her spare time, she enjoys reading, hiking with her dog Mya, and cooking a meal that brings family together. Listen to a recent interview with Catherine Fossett and IFOB Board member, David R. Ciullo from HR Power Hour, CMA Career Management Associates and Dale Carnegie Maine about the IFOB. Click here or on the image below. Listen to an interview with Catherine on Love Maine Radio and learn more about the IFOB. Click here or on the image below. A family-owned business can be both a joy and a headache. Working for, or with, a family member can be rewarding, but it can also bring rivalries and family history to the forefront, causing friction. Catherine Wygant Fossett is the executive director of the Institute for Family-Owned Business (IFOB), a nonprofit 501 (c)(3) organization dedicated to supporting and empowering family-owned businesses in Maine. Prior to joining IFOB in 2014, Wygant Fossett, a graduate of Bates College and the Maine Association of Nonprofits’ Executive Leadership Institute, was executive director of the Boothbay Harbor Region Chamber of Commerce. Before that, she was director of marketing at Hewins Travel, and director of sales at Hurley Travel Experts. The daughter of a retired ambassador, Wygant Fossett grew up living in Russia, Africa, Australia and Micronesia. Among her life’s adventures was working for a treasure hunter who went after a Spanish galleon that sank in Saipan in 1638. She edited the story about it that appeared in the September 1990 issue of National Geographic. Wygant Fossett came to Boothbay to marry Todd Fossett, from New Harbor, in 2011, and learned that some of her ancestors hailed from Bristol Mills. “Todd’s and my ancestors were on the same boat, the Fortune, that came from England to the U.S. in 1623,” she said. “I am also a decedent of John Alden. And Captain Myles Standish’s (who came on the Mayflower as the military officer) second wife, Barbara Standish, was on the Fortune along with (some of) Todd’s ancestors. Three hundred eighty-eight years later Todd and I moved to where our ancestors originally settled a few peninsulas over. “So while many think I’m from ‘away’ (I was born in Northampton, Massachusetts), I really do have deep roots to this region and after living all over the world. In 2011 I moved to Boothbay, 2.5 miles from my first cousins Graham and Laura Wright, who have lived in Boothbay for over 20 years." She works out of her home when she’s not on the road to Portland, Bangor, or Lewiston to meet with family businesses and associate partners, and to attend the programs she organizes for IFOB. About 90 family-owned businesses and 37 associate partners – accountants, lawyers, insurance brokers, bankers and consultants – are members of IFOB, according to Wygant Fossett. An annual membership can cost from $200, for family businesses with annual gross revenues less that $500,000, to $2,000 for an Associate Partner membership for a non-family-owned business. Benefits include over 40 programs tailored to the specific interests of members; networking with other members; a company logo, business history and description on the IFOB website; social media interactions; promotions and notices of educational programs offered by members; and discounts on business-related publications. Now in its 20th year, IFOB holds an annual awards night, the Maine Family Business Awards, that celebrates family businesses. Held at the Holiday Inn by the Bay, last year over 350 people attended. One hundred eighty nominations got narrowed down eventually to 20 finalists; seven winners received awards. Wygant Fossett is now looking for nominations for the 2017 Maine Family Business Awards. Anyone who meets the specifications of a family business is eligible. So go to the IFOB website and nominate your favorite.